These are my reflections on those Scriptures that God has used to comfort me as I have travelled through the "valleys of Shadow of death." I am hoping that they will comfort those fellow-travelers who are going through the wilderness of life. At times, I will also write blogs relevant to mental illness, particularly as it relates to issues of faith, theology and community. All Scriptures used here will be from New American Standard Bible, unless otherwise specified. What is Wrong with Self-Esteem? In today’s popular psychology culture, when faced with emotional distress, we are told that we should work on building up self-esteem. The emphasis on self-esteem is deeply permeated in our culture, and strongly advocated by many psychologists and educators. We are told that first and foremost, we should be concerned about our own well-being and not allow anyone or anything to interfere with our happiness and satisfaction. Parents go out of their ways to build up their kids’ self-esteem, even at the cost of transferring wrong values to them. It has been pushed into our heads that self-esteem is the foundation of psychological health. Unfortunately, the pro self-esteem movement has not born fruitful results. We have ended up with a nation filled with narcissists! We forget that we are not such big deals! That is why when we fail or when others don’t see us in the same light as we see ourselves, we are crushed. The self-esteem movement, in my opinion, has greatly contributed to the increased rate of depression and mental distress. We are aiming for the wrong thing! We should remember that our value does not come from our successes, but comes from our Creator. We are made in the image of God with a unique plan and purpose for our lives. We are precious beings because we are valued by God, not because we are admired by our peers. It is wonderful if our peers like us or respect us, but that is an admiration that is passing and transitory. If that is the source of our self-esteem we are headed for a crash! Self-esteem will fail us when things are not going well for us, but the love of God never fails us! We ought to love ourselves, knowing that God loves us, regardless of our performance. 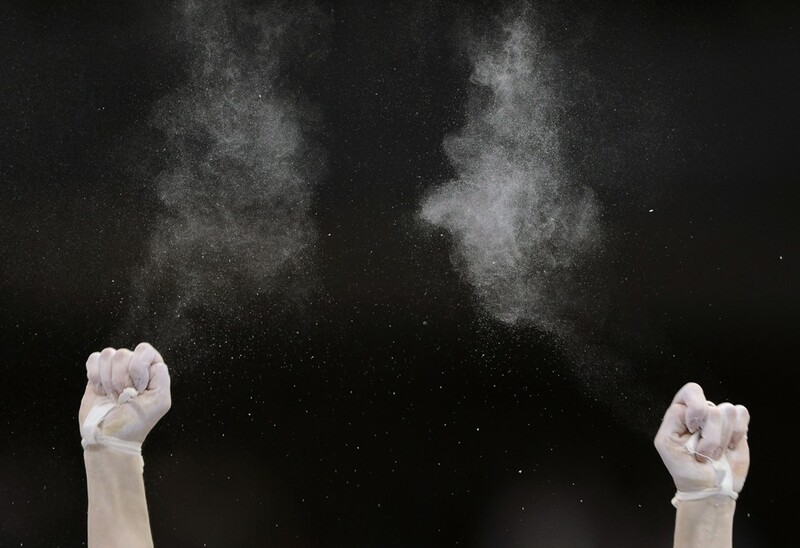 I like this article by Olga Khazan, interviewing Kristin Neff, a psychology professor at the University of Texas. Neff unravels our false hopes in having a great self-esteem and reminds us that inflated egos will set us for despair. There’s nothing wrong with being confident … The trouble is how we try to achieve high self-regard. Often, it’s by undermining others or comparing our achievements to those around us. That’s not just unsustainable, Neff argues, it can also lead to narcissism or depressive bouts during hard times. Neff proposes a better path: Self-compassion. In other words, treating yourself just like you would your best friends, even when they (you) screw up. Khazan: So what’s wrong with telling people to have better self-esteem? Neff: When you take it too seriously, you become a narcissist. And we know narcissists tend to have problems with relationships, they push people away, so there are definitely maladaptive consequences to narcissism. The other thing is, it’s pretty common, at least in American society, that in order to have high self-esteem, you have to feel special and above-average. If someone said, “Oh, your performance was average,” you would feel hurt by that, almost insulted. When we fail, self-esteem deserts us, which is precisely when we need it most. And so the problem is we’re constantly comparing ourselves to others. We try to puff ourselves up. We have what’s called self-enhancement bias, where we see ourselves as better in almost any culturally valued trait. There’s a large body of research showing that bullying is largely caused by the quest for high self-esteem—the process of feeling special and better-than. So if I can pick on the weird, nerdy kid, I actually get a self-esteem boost. Then, if you look at things like prejudice, at least some element playing a role in prejudice is if I feel that my religious group or my ethnic group is better than yours, that’s one way to make a social comparison, and I am actually boosting my self-esteem. So that’s a problem. And also the fact that on some level, someone is always going to be doing it better. Sometimes, when we fail, we react as if something has gone wrong—that this shouldn’t be happening. “I shouldn’t have failed, I shouldn’t have had this issue come up in my life.” And this sense that “this shouldn’t be happening,” as if everyone else in the world were living perfectly happy, unproblematic lives. That type of thinking really causes a lot of additional suffering, because people feel isolated and separated from the rest of humanity. ELAHE HESSAMFAR is a former business executive and has a PhD in Divinity from the University of Aberdeen in Scotland. She has an MA in biblical studies from the Reformed Theological Seminary, an MS in computer science from the George Washington University, and a BS in electrical engineering from the University of Kansas. Interesting interview, especially knowing that Kristen Neff is the wife of Rupert Isaacson author of The Horse Boy. An astonishing book. 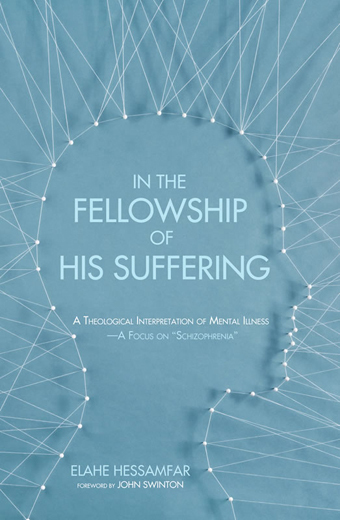 Order In the fellowship of His suffering: A Theological Interpretation of Mental Illness via Amazon. What Should We Make of Hearing Voices? In the fellowship of his suffering. A Theological Interpretation of Mental Illness. - A Focus on "Schizophrenia"